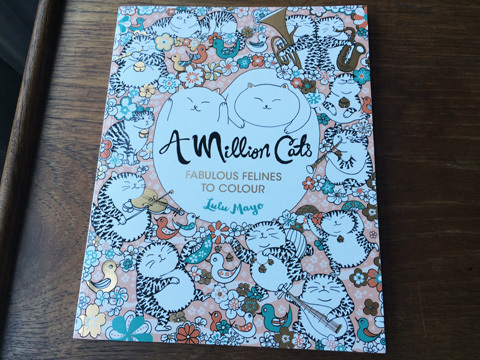 I’ve spoken about my love of A Million Cats in my previous post highlighting my favourite colouring books of 2015, and now I am finally able to bring you an exclusive interview with the artist Lulu Mayo. This is Lulu’s debut book but the reception has been so fantastic that she is set to release another book geared towards dog lovers, called, yes you guessed it, A Million Dogs. 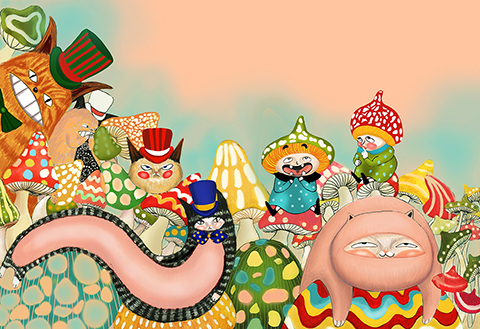 Both books feature a plethora of cute animals in ridiculous situations, inspired by a childhood love of the infamous cat bus in cult Japanese animation My Neighbor Totoro. A must have for all the animal loving colorists out there. I believe your first career involved numbers – what did you do and where? After graduating from university, I worked as a sales and marketing personnel in a technology company in Taiwan. However, I quickly realised that it was not something I would like to pursue for my future career. So while working, I undertook a product design course to prepare for entry into art school. I was glad I did it and was happy to say it was the best decision I ever took in my life! Why did you decide to pursue your passion for illustration? I had an amazing opportunity to undertake an Erasmus exchange program in France while studying international business. However, I wasn’t inspired by business management courses but arts and amazing architectures there. After I came back from France I decided to purse my love for arts. It wasn’t after a lot of trials and errors did I decide to purse my passion for illustration. Originally I thought I would be a product designer as I loved the idea of creating something practical and artistic. But later on I realised it was drawing that brought me the most joy. I am happy to say I don’t regret it at all now. Why did you decide to study in the UK and why did you chose Camberwell College of Arts? 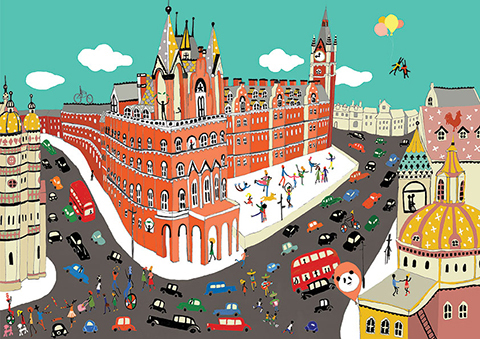 I was drawn by hustle and bustle of big cities and London perfectly fit the bill. Tutors at Camberwell always gave us free rein to experiment with new themes and techniques. I have absolute creative license to produce artworks, so it was an obvious choice. How did A Million Cats become published? Did you take the concept to a publisher or did they approach you and if so when and where? It all started when I received a fountain pen as a gift from my Dad. The pen itself was a gift from his senior officer dating back 40 years. I started to create a lot of hand drawn black and white ink artworks ever since. 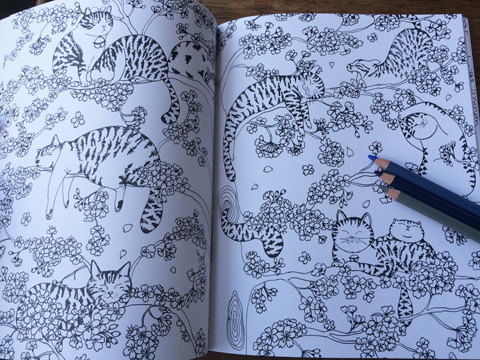 Then one day I thought,“Why not combine my love of cats and ink?” So I came up with an idea of creating a colouring book, A Million Cats and started to approach to publishers. Luckily, the publishing director at Michael O’ Mara loved the concept and the rest was the history. 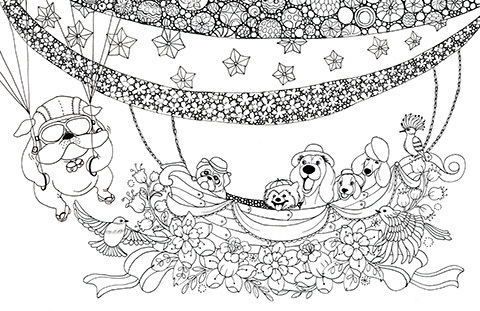 They got many positive responses from their clients so I was commissioned by them with another project – A Million Dogs. I was very grateful that they took a chance on me. Your book features a lot of Japanese influenced patterns – why did you add this to the mix? I have a profound interest in Ukiyo-e, pictures of the floating world. It is a genre of art that flourished in Japan from 1680s up until the year 1900. I love its unique characteristics, including its imaginative cropping of figures, exaggerated foreshortening, amazing storytelling and intriguing patterns. My artworks are deeply influenced by it. I think A Million Cats is a marriage of the quirky, the idiosyncratic and Ukiyo-e. 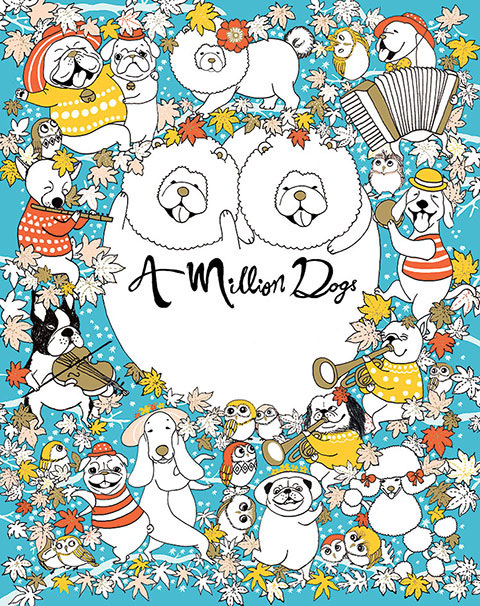 When does A Million Dogs come out, and can you share a sneak peak of the artwork with us? Of course, my pleasure! The publication date of A Million Dogs in UK is 14th of April. Inside are over 30 spreads of funny dogs, decorated with stress-relieving Japanese patterns and motifs, including cherry blossom, waves, hearts, maple leaves, and paisleys in various forms. 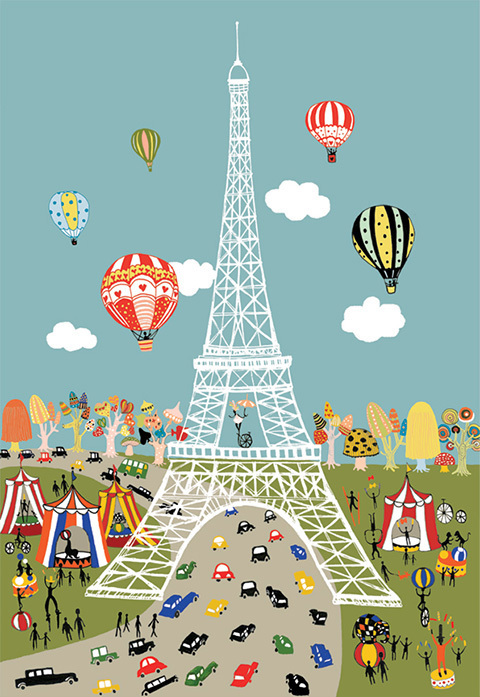 It features different breeds of dogs in a range of surreal situations; riding a carousel, playing music, sneaking food, and flying a hot air balloon. I hope it can provide readers an escape from hectic modern life to a relaxing world of quirkiness and imagination. 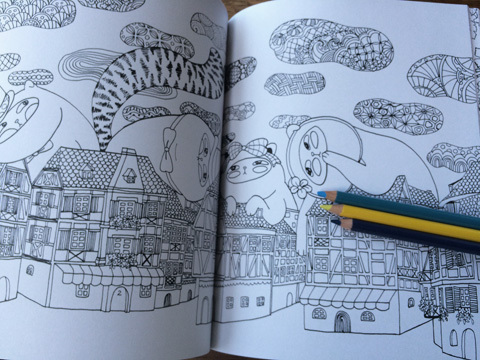 What do you love most about the craze for adult colouring? What I love the most is that I can share my imaginative world with others. It’s amazing to see how others interpret my artworks in their own creative way. It is absolutely thrilling! My favourite animal is English bulldog and it has appeared on many pages in A Million Dogs. It descended from fighting mastiffs. Today, however, it only slightly resembles his ancestors in appearance. He is not ferocious any more, but of a sweet, and loving disposition. Such a contradictory makes him my favourite. He really inspires me with his goofy look. Obviously you love cats, when did this interest begin and have you ever had a pet cat that has inspired your work? When I was five years old, I watched my first Hayao Miyazaki’s film called My Neighbor Totoro. There was a magical cat character. Every time when Totoro summoned him, he transformed into a cat bus and drove people to their destination. As a child, it completely rocked my world and I always dreamt that I could be the passenger one day. Ever since I became an advocate of cats. 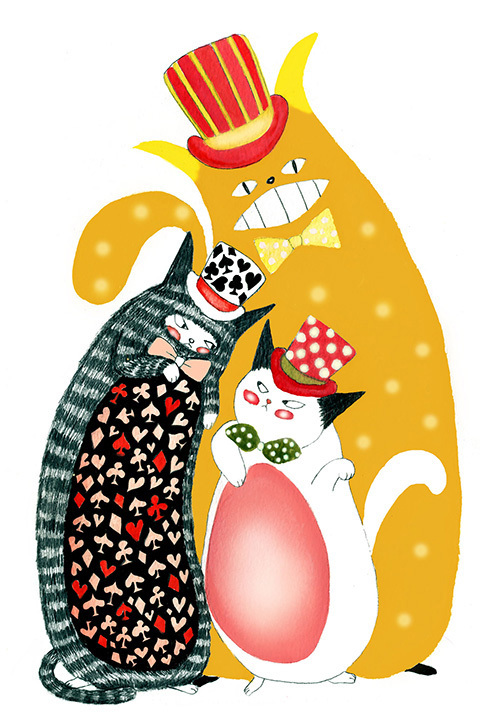 I want to create whimsical cats that sparks people’s imagination. Unfortunately, in reality there is no such cat that inspires me… it’s absolutely impossible to have a pet as my Mum is a neat freak! 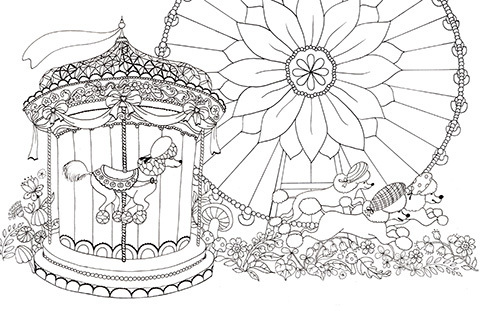 I am working on an animal-themed colouring book. 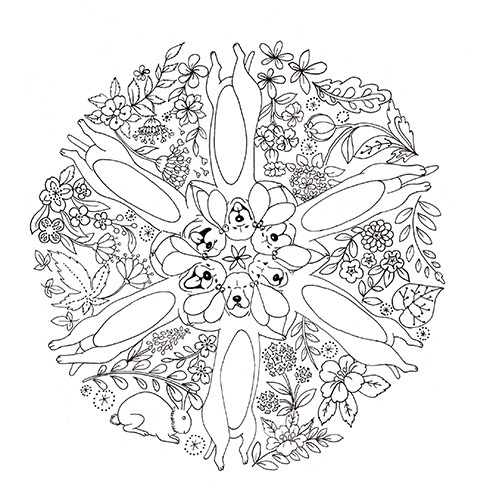 It will feature more than 20 different animals in a range of different circular patterns. I will infuse it with my love for Japanese patterns, flowers, and plants. 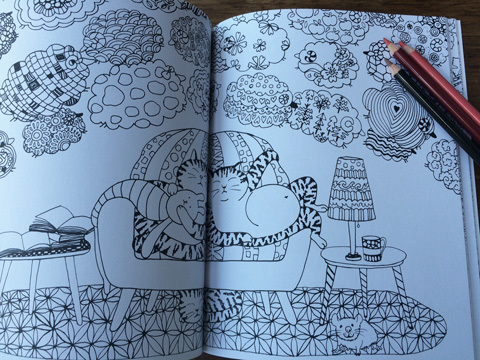 Unlike A Million Cats and A Million Dogs, this time I will colour it up with readers. So watch out, animal lovers! For my personal project, I am working on a rabbit counting book. It’s not just about 1, 2, 3 but a story of having a loving family and friends! 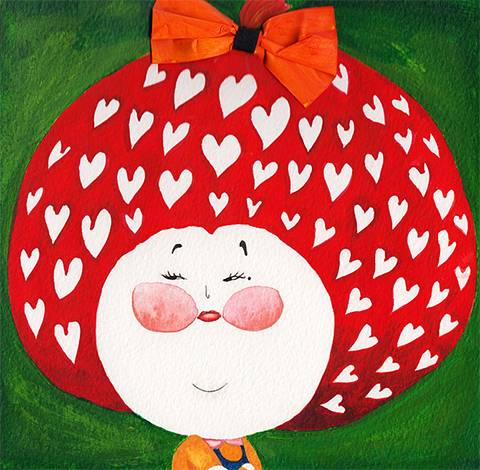 Thank you so much for answering my questions Lulu, I love your work! Follow Lulu Mayo on Twitter and Facebook.